A fast acting cream for hard working hands. The quick drying formula makes it suitable for use with or without gloves. Used before you start work, the omega 3 from Peruvian Inca Inchi Oil helps protect skin from dehydration and damage, whilst extracts from marine algae soothe skin redness. Nut butters and seed oils work to resist ingrained dirt. It is animal-friendly, suitable for vegetarians and vegans. Enriched with lime, basil and rosemary essential oils. Aloe Barbadensis Leaf Juice*, Cetearyl Alcohol, Glycerin, Coco-Caprylate, Helianthus Annuus (Sunflower) Seed Wax, Theobroma Cacao (Cocoa) Seed Butter*, Butyrospermum Parkii (Shea) Butter*, Caprylic/Capric Triglyceride, Glyceryl Stearate, Simmondsia Chinensis (Jojoba) Seed Oil*, Coconut Alkanes, Prunus Amygdalus Dulcis (Sweet Almond) Oil*, Sodium Stearoyl Glutamate, Vitis Vinifera (Grape) Seed Oil*, Plukenetia Volubilis Seed Oil*, Benzyl Alcohol, Zea Mays (Corn) Starch, Cetearyl Glucoside, Parfum (Fragrance), Aqua (Water), Sodium Phytate, Coco-Caprylate/Caprate, Salicylic Acid, Limonene, Citric Acid, Sorbic Acid, Geraniol, Laminaria Ochroleuca Extract, Citral, Tocopherol, Linalool. *ingredient from organic farming. Naturally occurring within essential oils. Natural and Organic Cosmetic certified by ECOCERT Greenlife. 99% of the total ingredients are from natural origin. 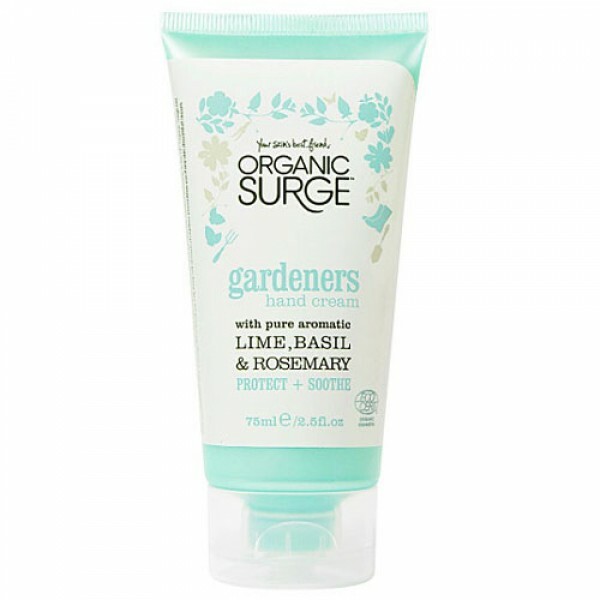 78% of the ingredients are from Organic Farming. Apply liberally to clean hands. 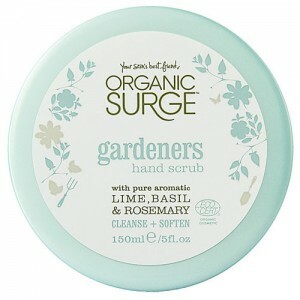 Use in conjunction with Gardeners Hand Scrub to leave your hands silky soft.